Protista è un HB in cui è possibile creare i propri mostri, per poi combattere nell'arena. Protista is an interactive toy where player-created creatures compete for supremacy of the Petri dish. Protista, an experiment in interactivity, challenges both the right and left sides of the brain. The creative side is unleashed to design and build an assortment of creatures in a full-featured creature editor. 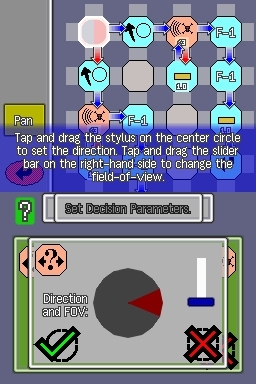 Protista tasks the analytic side to program the creatures with a graphical programming language. Then, the whole brain can sit back and watch its creations battle it out in a struggle of microscopic proportions. To Play Protista, you will need a DS and be able to download onto a chip!